Q. I am going through your Revelation study and so appreciate your gentle tone and teaching style. There is much to glean and contemplate as I listen and look at the slides. The comparing of scripture to scripture to further highlight and illuminate passages is also much appreciated. I believe this is referring to Noah and his family that were lifted up or taken away in the ark. And notice in Luke 17:27, it is referring to those left being "destroyed" (G622). G3880, paralambano, from G3844 and G2983; to receive near, that is, associate with oneself (in any familiar or intimate act or relation); by analogy to assume an office; figuratively to learn: - receive, take (unto, with). G863 aphiemi...hiemi (to send; an intensive form of eimi (to go)); to send forth, in various applications: - cry, forgive, forsake, lay aside, leave, let (alone, be, go, have), omit, put (send) away, remit, suffer, yield up. I would love to hear your thoughts if you have time. A. I am blessed to know that the Revelation study is proving to be helpful in study of God's Word. Although it is my ambition to be a careful teacher of God's Word, it is not always easy to retain a measured response to some of the errors and sensationalism which so often attend the interpretation of the last book of the Bible. I also commend you for going the extra distance and delving into word studies of the original Greek behind the passages in question. However, I would also offer this caveat: appealing to subtleties within the original language must not be allowed to overturn the meaning of words as established in the immediate context of the passage. This is a principle which I like to refer to as "Context is King!" In other words, the Scriptures are written in such a way that their meaning is primarily established by the context rather than subtleties associated with possible ranges of meaning of the individual terms. Each word in Greek (and indeed, any language) can have a wide range of meanings. But we are not at liberty to take each possible range of meaning of a word and pour that emphasis into the word wherever it happens to appear. Instead, the author's use of the term within the context of the passage must be our primary guide as to the intended meaning. Clearly, the pronoun "they" refers to the ones taken (Mat. 24:39) and in both passages these same ones are the ones who are clueless of the approaching judgments and therefore perish. 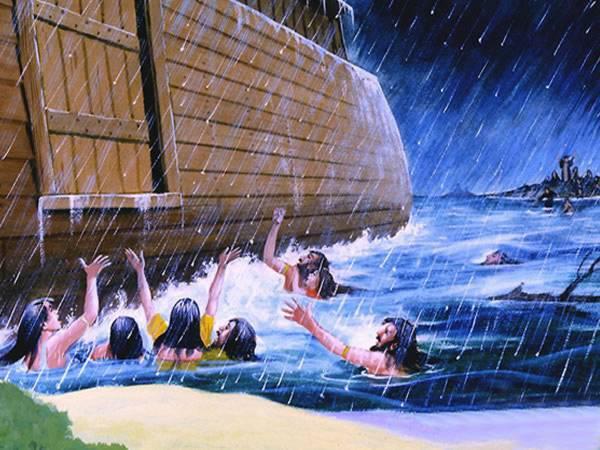 To take they as referring to Noah and his family necessitates that "they [Noah and his family]...did not know until the flood came," but Noah did know of the flood well in advance. This is another clear grammatical clue that the ones "taken" are not the ones preserved. It seems clear from the consistent usage of pronouns in both of these passages that those who are judged are also the ones taken. This also fits with other teachings of Jesus that at His return, the wicked will be removed leaving only believers who will enter the Millennial Kingdom (e.g., Mat. 13:30,40,50). By way of analogy, the ones taken in judgment by water in the flood and by fire at Sodom and Gomorrah are compared to those taken from the bed, grinding wheel, and field. Along with the above grammatical clues, we should also note the wider context of Matthew 24-25 which does not concern the Rapture. Rather, Jesus is answering the question, "What will be the sign of Your coming, and of the end of the age?" (Mat. 24:3). This "coming" of Jesus is not the Rapture, but His coming in judgment at the end of the age, as is made abundantly clear by the signs which he gives which indicate the end of the age. (There are no signs by which to watch for the Rapture—it is imminent—but that is a topic for another time.) The signs which Jesus refers to include a unique global time of persecution of believers, the abomination of desolation, and signs in the sun and moon, not to mention "great tribulation, such as has not been since the world until this time, no nor ever shall be." These signs are all associated with the Day of the Lord, not the Rapture which has no signs or preconditions. Thus, the context of the "one taken, one left" passage also supports the interpretation that it does not concern the Rapture since the church is taken prior to this unique period characterized by God pouring out His wrath upon a largely rejecting world. A response by Andy Woods to a similar question: Q172—One Taken and One Left. A paper by Andy Woods which discusses this matter in much greater detail: Jesus and the Rapture. My own audio teaching on this passage: As the Days of Noah (Mat. 24:37-44). Concerning birds feeding on the carrion of those judged, see Dt 28:26; 1 Ki 14:11; Job 39:30; Ps 79:2; Eze 29:5; Eze 32:4; Eze 39:4; Eze 39:17-20; Jer 7:33; Jer 12:9; Jer 15:3; Jer 16:4; Jer 19:7; Jer 34:20; Mt 24:28; Lk 17:37; Re 19:17-18.